Darker and stronger with a more robust flavor than common oregano. Used in authentic Mexican cuisines, in sauces, bean dishes, empanada fillings, burritos and tacos. 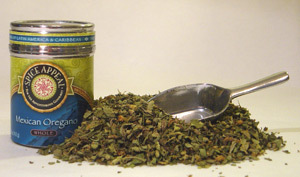 A common U.S. seasoning used for Tex-Mex and Southwestern style beans, meat stews, sauces, roasts, soups, and in chili con carne.